Are you looking for a reasonably priced turkey deep fryer? This one from Grillsmith should be at the top of your list. Read our buying guide packed with information to help you decide if it’s right for you. Picture this. It’s Thanksgiving or Easter and you’re out in the garden frying a turkey. Your whole family is there, anxiously awaiting the finish of your masterpiece from the Grill Smith Fryer. Sounds awesome, right? It certainly can be. The Grillsmith All-In-One 30 Qt. Turkey Fryer is a newcomer to the turkey fryer world. 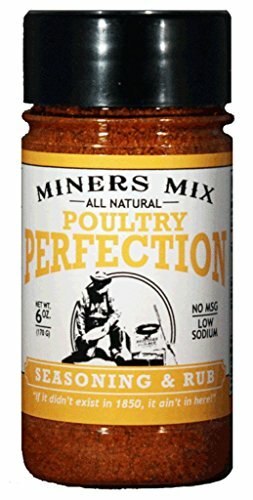 It’s an all-in-one kit that contains everything you could possibly need to get started with deep frying turkeys. You just need to hook up your propane bottle and start frying! The price is most certainly right if you’re looking for a cheap turkey fryer for your next Thanksgiving or Christmas feast. 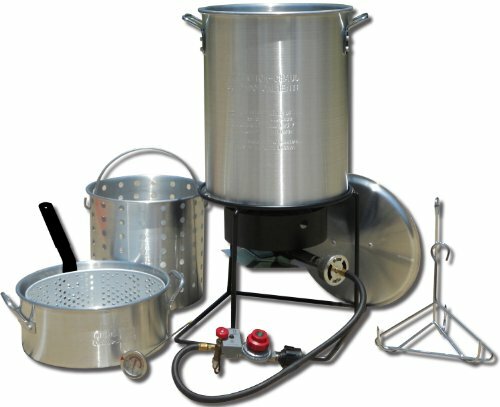 It’s less than half the cost of some of the more expensive turkey frying kits that come with stainless steel pots (this one is aluminum). Maybe you’ve never had the good fortune of trying deep fried turkey before? If this is the case, we’re here to tell you that deep fried turkey is really, really delicious. Moist and juicy on the inside but golden crispy on the outside. Plus, a small to medium size turkey can be deep fried in under an hour. Deep frying turkey also frees up a ton of oven space, leaving room for casseroles of all kinds on that next big family feast day. It’s also easier than you think. See: How to Deep Fry a Turkey. This Grillsmith All-In-One 30 Qt. 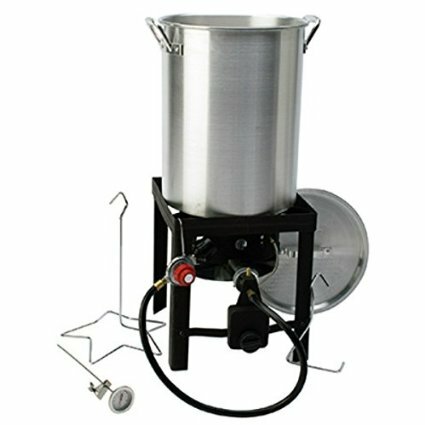 Turkey Fryer comes with a 30 quart aluminum pot that can deep fry turkeys of up to 18 pounds. 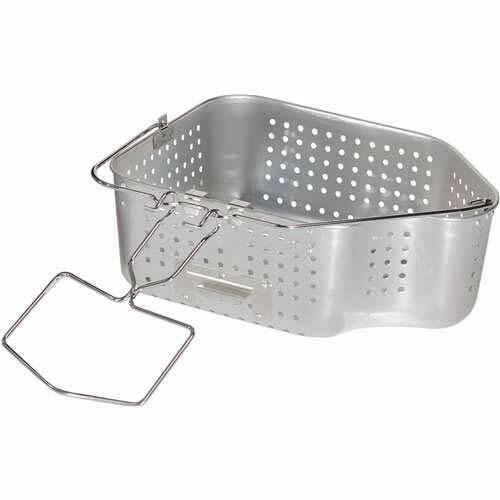 The Grillsmith includes a stand, adjustable regulator to control the temperature, as well as a basket to ensure safe deep frying. 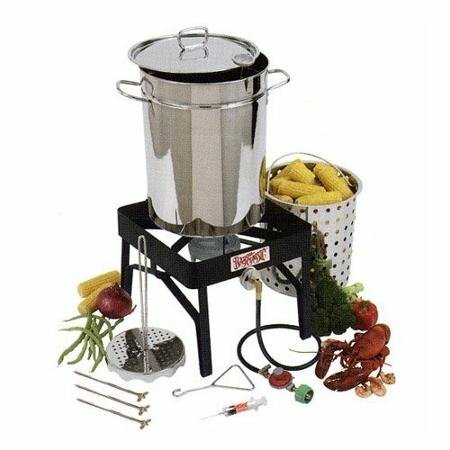 Where Can I Buy this Turkey Fryer? 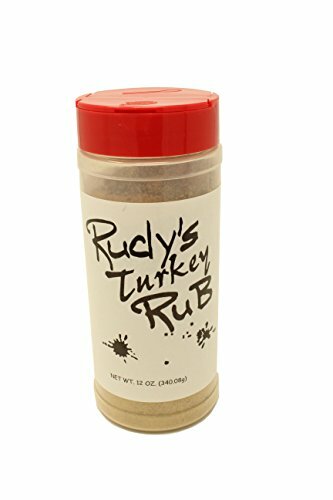 You can easily get this popular turkey frying kit on Amazon today. Check now for the lowest prices and to see if this product is eligible for free shipping with a Prime membership. 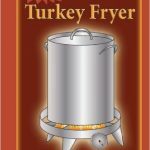 Fries turkeys up to 18 pounds (for 25+ pound turkeys, check out this Bayou Classic Turkey Fryer). Aluminum pot. While cheaper, aluminum pots have a reputation for not being very durable. Stainless Steel Pots are often a better choice. Only fries turkeys up to 18 pounds. People don’t like the automatic shut-off timer. If you’re looking for a top-quality turkey frying kit, this one probably isn’t it. The reviews on Amazon aren’t that great and we don’t love it for a few reasons including the automatic shut-off timer (every 15 minutes), confusing instructions to get it up and running, as well as the aluminum pot which doesn’t appear to be commercial grade. However, once people figured out how to put the turkey frying set together, it worked reasonably well. 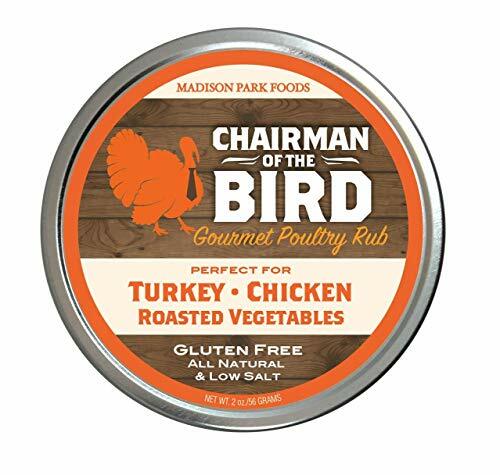 Plus, it can handle up to 18 pound turkeys, more than many of the other cheap turkey deep fryers out there. Overall, it’s probably not a terrible choice if you’re only going to use it once or twice (similar to the Kamp Kitchen Turkey Fryer). 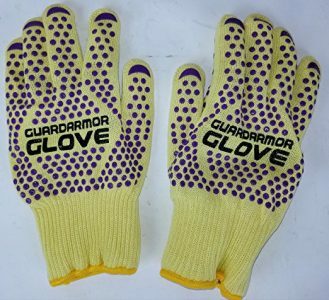 However, if you’re looking for a more durable product that is going to last you for years to come, you’d be better of spending your money elsewhere. 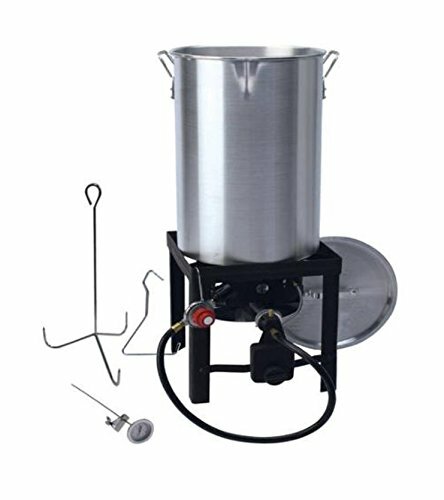 Are there Higher-Quality Outdoor Deep Fryers? 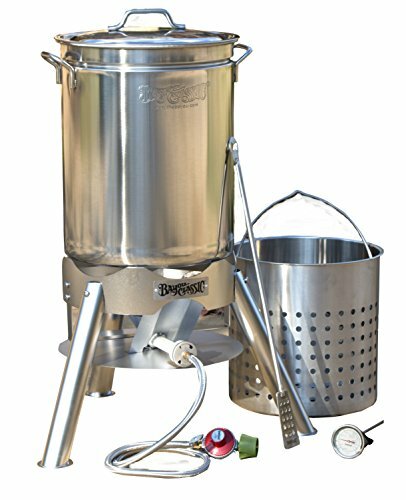 Eastman Outdoors Stainless Steel Cooking Set– A premium turkey deep frying kit for those who are serious about their outdoor deep frying! It includes a stainless steel pot, heavy-duty stand and is just all around superior in just about every way to this set from Grillsmith. Grand Gobbler Turkey Fryer from Bayou Classic– One of the top names in propane deep frying, Bayou Classic puts out some top-quality products at a very reasonable price. 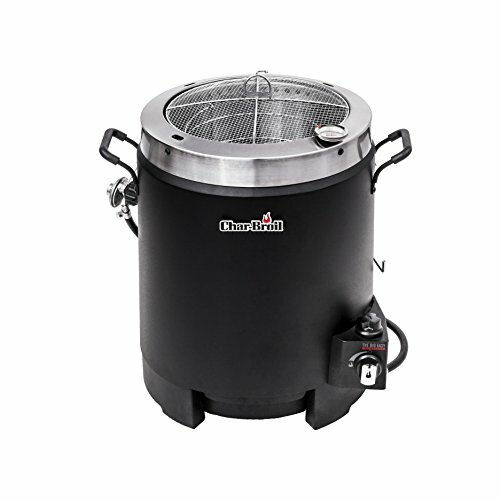 This particular turkey fryer comes with an aluminum pot, but it’s a commercial grade one which is thicker and far more durable than the thin one that comes with this Grillsmith. It’s also capable of cooking turkeys of 25 pounds or more, which is perfect for those larger family gatherings. The stand is top-quality, and the burner puts out some serious heat so that the oil comes up to temperature quickly and easily. If you want to cook a serious turkey outdoors, the Grand Gobbler is most definitely the one for you. 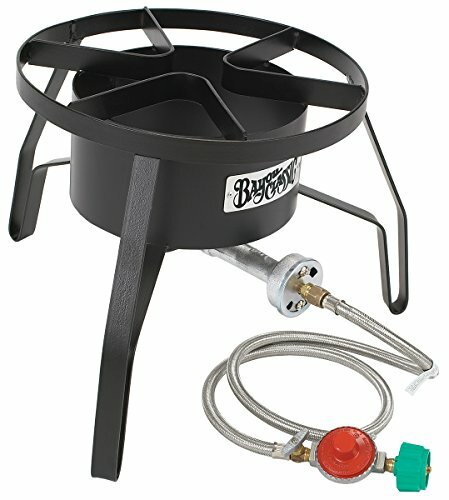 Grillsmith Turkey Fryer: Have your Say! 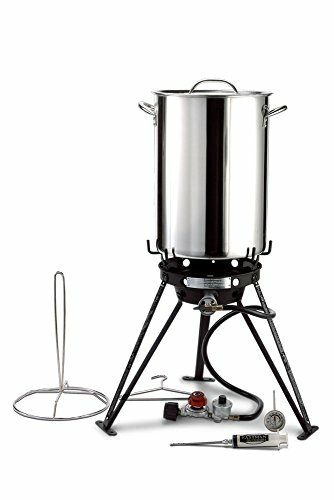 What are your thoughts about this 30 qt turkey fryer? Leave a comment below and let us know.